RAPAPORT... Alrosa’s sales fell in January amid market weakness, the miner said Tuesday. Proceeds decreased 44% year on year to $281.5 million. 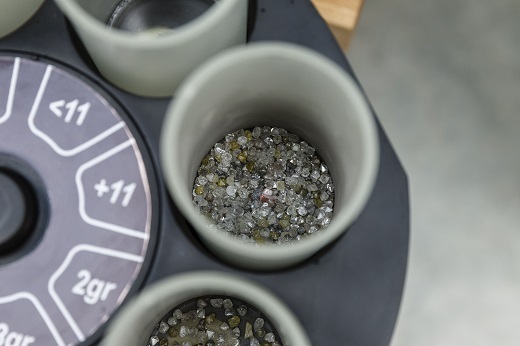 Rough-diamond sales dropped by the same percentage to $278.2 million, while polished revenue slid 38% to $3.4 million, according to Rapaport calculations. January sales were lower than in December, when the midstream engaged in restocking, Okoemov added. Combined sales of rough and polished diamonds for December and January came to $602 million, versus $727 million for the same two months a year ago, Alrosa noted. A year before, the figure came to $537 million for the period. Last month, Alrosa sold $9.6 million of special-size rough stones — larger than 10.8 carats — at its first tender of the year, held in Israel. The miner sold 92 stones weighing a combined 1,570 carats.